Fun and FREE holiday activities to do with the family in #DowntownFranklin! At some point during Christmas vacation, kids (and adults alike!) tend to get a little stir-crazy. Or perhaps you have family in town that don’t seem to be in a hurry to leave (who could blame them… it’s Franklin!). Keep your crew entertained (and out of the house!) with these fun and FREE family activities in #DowntownFranklin! It may be chilly outside, but the Franklin Farmer’s Market continues every Saturday at The Factory! Explore the incredible selection of the fresh produce, fruits and more, straight from local farms in the area. You’ll find the best in winter crops- perfect for soups and stews for the upcoming chilly weather! Browse booths of local handmade gifts and stocking stuffers. The man in the red suit will be making an appearance at the market on Saturday, December 10! Make sure to get a photo with the kids before Santa heads back to the North Pole to prepare for the big day! 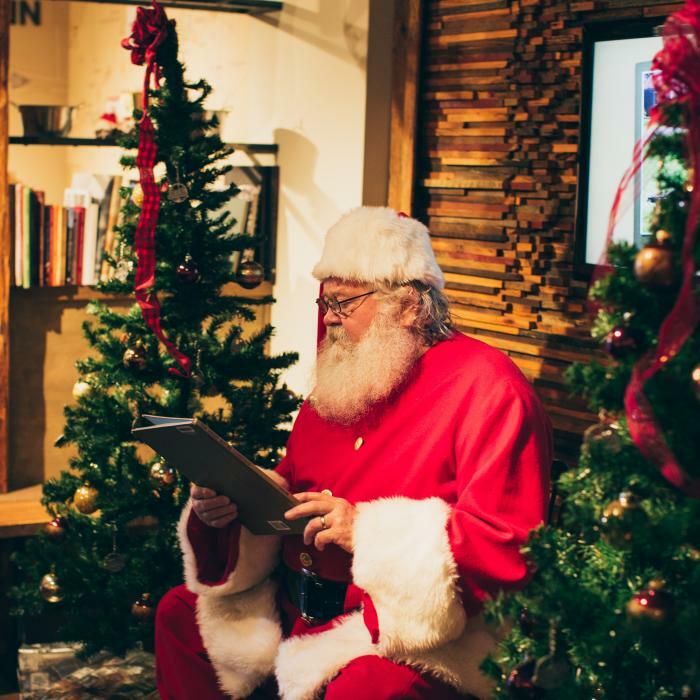 Continue celebrating the season with Holiday Story Time at the Visitor Center! The Sugar Plum Fairy, Elf on the Shelf, as well as Elsa and Olaf will be stopping by to read their favorite holiday stories throughout the month of December. The event is completely free, and your kids are sure to enjoy spending time with their favorite characters! For the complete schedule please click here. Downtown Franklin is a sight to be seen during the holidays, so bundle up, grab some hot chocolate and take a stroll! Enjoy the lights along America’s Favorite Main Street, stopping to take in the new 40 foot tree in the center of the Square. Too chilly? Hop in the car and turn up the Christmas tunes! School may be out, but history class is in session! Get creative and develop a scavenger hunt around Historic Downtown Franklin. Divide the family into teams and see who can complete it first. From the Old Old Jail to Chip the Confederate soldier in the Public Square, Downtown Franklin is full of fun scavenger hunt clues! For a little inspiration, check out the #FindingFranklin contest on the DFA social media accounts, @dwtnfranklintn.